San Diego Comic-Con has come and gone. It was 4 days full of costumes, crowds and commentators. Though Comic-Con is a San Diego staple, for a person - or business - who hasn't experienced the phenomenon before, it can feel like you're on another planet. 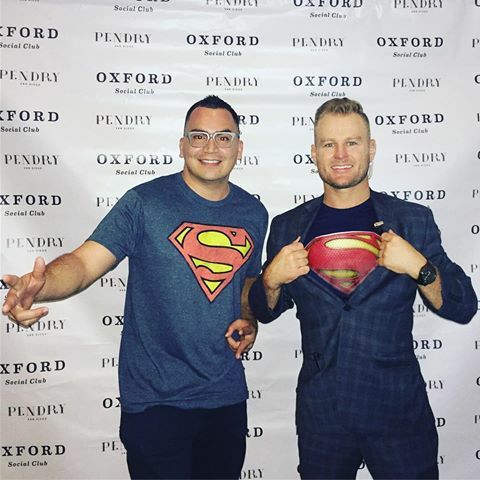 We sat down with Clique Hospitality Marketing Specialist, Pearce Cleaveland, to find out how The Pendry survived its first Comic-Con. 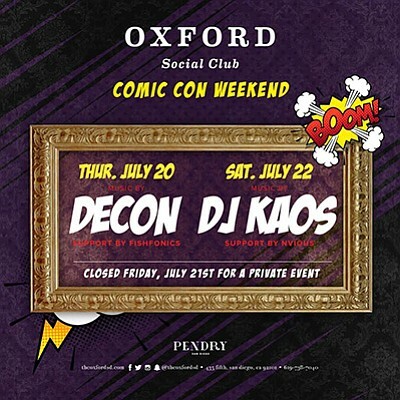 What was your impression of the Pendry’s first Comic-Con? From my standpoint and the staff’s standpoint, it was a lot bigger than we expected. We anticipated that a lot of the people who came into town for Comic-Con had already made their plans; that their week was full and they had a lot going on. So we didn’t necessarily expect that so many people from around the country would stop in just to check out the Pendry because they had heard about the hotel. We got a lot of people that were just like ‘Oh my gosh, let’s check out this new place! We've heard about this nightclub, these restaurants.’ We opened the club [Oxford] to the public on Thursday and Saturday and immediately sold out. For us it was amazing to see The Pendry kind of become this desired place for people to check out. People have heard about the property, about Fifth & Rose, the restaurants and the rooms. 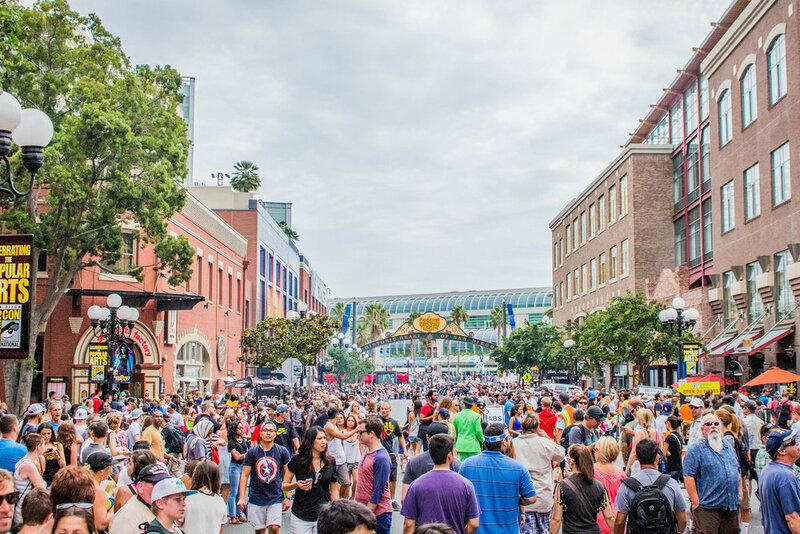 It was cool to see that this Comic-Con crowd hadn't experienced something new in San Diego like this, and The Pendry was definitely on their radar. Fifth & Rose was crazy all day and night. As the convention let out each day, Fifth & Rose is basically the first thing you see when you come up Fifth Avenue. So people migrated there and then stuck around and ended up having dinner at Provisional or Lionfish, then went upstairs to check out the pool for happy hour. Let's talk celebrities. Who did you see? *laughs* I'm just going to touch on this. There were of course huge celebrities and executives in town for Comic-Con, and we actually had some “last minute” requests. Halle Berry and her family had dinner at Lionfish. Seth Rogen had a pop-up style event at the nightclub. NBC, Universal also hosted a celebratory party at Oxford for their new show, Midnight Texas. That was definitely one of our largest activations. Midnight Texas was everywhere during Comic-Con, so we were excited to have them here celebrating the forthcoming premiere. And we even ended up seeing Mariah Carey right after [Comic-Con]. What was the craziest thing you or your staff saw? There wasn’t anything super crazy. No light saber fights in the street or anything. It was just really good people watching. With our corner it was cool to sit back and see what the trends were for the year. What people were dressing up as. It was a little bit harder to identify this year...last year of course there were a ton of Harley Quinn's...this year was a little bit more broad. The craziest thing was literally sitting there and watching the convention let out every night and seeing the transition. It was just a sudden, crazy explosion of people. The other thing that that stood out for us was how how active staff got. We definitely encouraged Pendry staff to dress up, and they got really involved and into it. How did you get into Comic-Con mode? Lionfish had Comic-Con themed sushi rolls and drinks. All of the Pendry properties did something similar. And like I said, the staff really got into it - wearing super hero t-shirts and makeup. For them, the staff, this made them feel like they we’re part of Comic-Con. Even if they weren’t necessarily going, they were still playing a part in the whole experience. Now we’re looking to really ramp things up next year. By having a lot more time to roll it out, we’ll do more with decor - based on what is big next year. What are your Comic-Con take aways? I think we really excelled at accommodating people and just making it work. Whether it was setting executives up in cabanas at Pool House where they could have dinner, or taking last minute reservations, or just giving people tours of the property - the team was really malleable and able to make decisions on the fly. Next year we want to do a lot more street side activation and offer a more immersive experience. You never really know who's going to be buying out your hotel, but if you're open to the public you can have some fun with it. So we definitely want to take that angle a little more. If we thought this year was crazy, I can't even image how huge 2018 is going to be!